This felt laptop case from Hide & Drink is the dapper and secure home your laptop deserves. Soft, handmade, and durable, the case is now just $20, a savings of 50% with promo code MAC50. The case (14.25" x 10" x 0.5") is handmade out of soft merino wool felt, sporting a sleek envelope design perfect for a 13" laptop. It closes using metal snaps, maintaining a compact form. Plus, Hide & Drink offers similar protective products like phone sleeves and tablet cases. 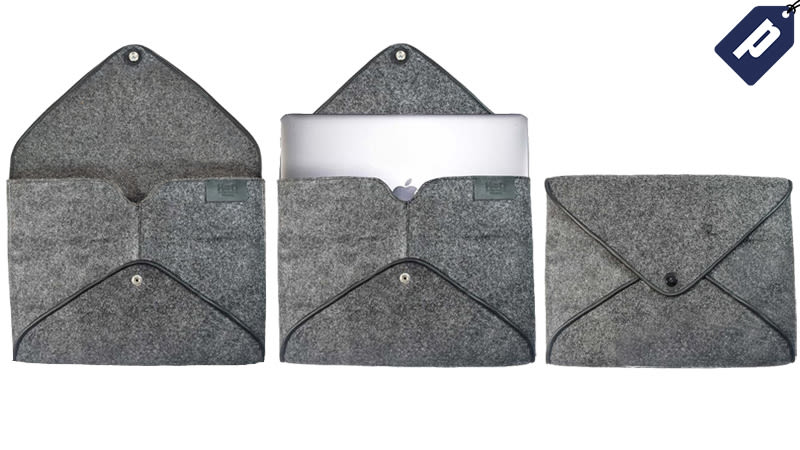 Get 50% off the felt laptop case from Hide & Drink, just $20 with promo code MAC50.